The family of a woman who was stranded for days after her car hurtled off a mountain pass says she will lose both her feet as a result of the injuries she suffered. The family of Kristin Hopkins made a brief statement on Monday through a spokesman outside a hospital where they said Hopkins would undergo surgery later in the day. A motorist found Hopkins of Highlands Ranch on Sunday below U.S. Highway 285 through Red Hill Pass. 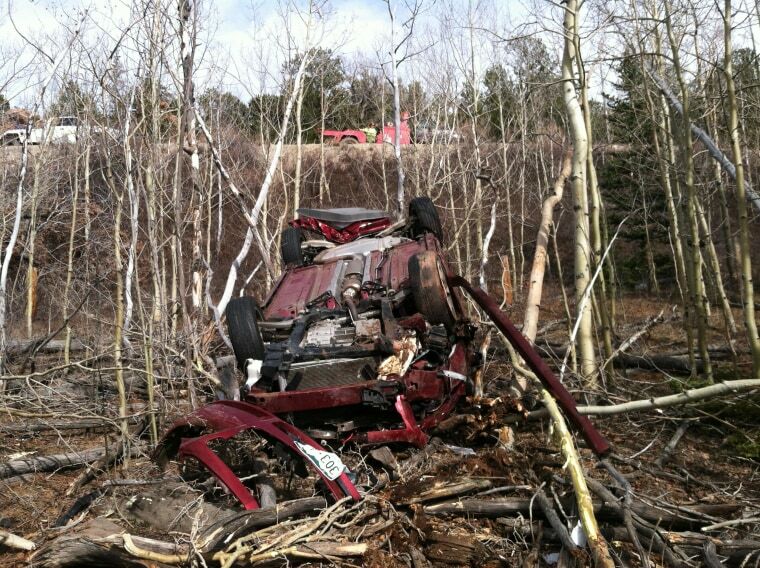 The Colorado State Patrol says she was conscious and coherent. Authorities say Hopkins was last seen on April 27 and it was unclear when she went off the right side of the road in a left curve. Her 2009 Chevrolet Malibu struck multiple trees, went down an embankment and rolled several times before landing on its top. Her family thanked people for their prayers and thoughts.